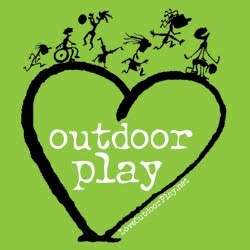 I Work for Kids: Need idea's for an Outdoor summer? Sometimes it is easier for mom's and teacher's to just stay indoors. (Trust me I know). But getting outside is such a learning experience. Children are able to hear birds chirping, hear bugs buzzing, see the birds flying, and in some cases watch cars go by. It's a whole other world outside. For some it may be simply going to your back yard and letting children explore through the bushes, and in the grass. Some may walk to a park or hiking trail. Where ever the your location might be the opportunities are endless. You do not have to travel to expensive amusement parks, or vacation spots. Children have that sense of wonder and can find things to explore right in your backyard. If it is difficult for you to feel comfortable outside try these tricks. Grab a chair and a sun hat, make some lemonade and travel outdoors. Allow your child to take some "indoor" toys or other items outside. For example you can encourage your child to take some blank pieces of paper and some crayons. Tell your child to draw what they see. This activity will encourage your child to begin to really see their outdoors and translate that view onto paper. You can also play listening games where your child and you have to guess how many sounds you hear and talk about what those sounds might be. You can also simply take lunch outside and sit on a blanket and eat outdoors. If you are in a school setting take the children outside to eat lunch.You might want to take a book outside and read. In some cases if he weather is fair your child might want to nap outside, while you read a book. The idea's are endless. The outdoors is a whole new world and can be a fun and imaginative place to be, the problem is simple.............we just need to get outside. I would love to hear your idea's for outdoors.